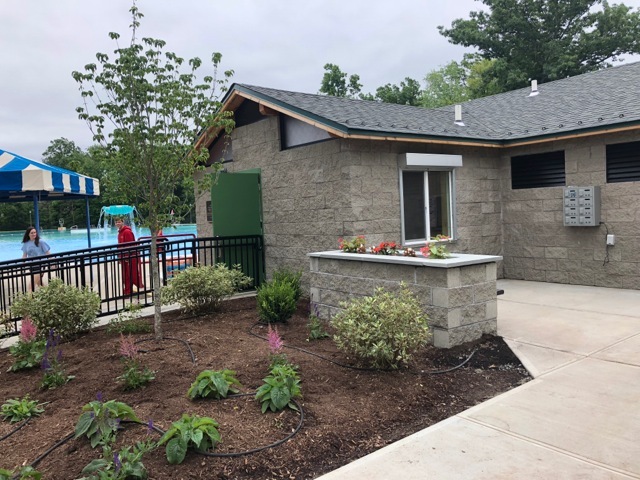 Significant upgrades to the Clarkstown’s swimming facilities at Lake Nanuet Park include a modern bathhouse with added changing facilities and a newlifeguard area, the centerpiece of the improvement. It also includes new deck work and grading. In addition to the physical improvements made to the park, Supervisor George Hoehmann announced a new concessionaire: LaSirena Seafood will be providing a number of delicious options to keep hungry park-goers satisfi ed. LaSirena Seafood is owned and operated by Chef Kyle Rubino, whose family operates the popular Nyack Seaport eatery. “The pool at Lake Nanuet has always been a popular destination for Clarkstown residents. The brand new bathhouse and lifeguard area is the finishing touch on a series of improvements we have made to Lake Nanuet, ensuring that wonderful summertime memories will continue to be made here for years to come,” said Hoehmann.